We can't always be there to protect our kids as they make their way in the world. What we can do is equip them with the tools they need to ensure they have a positive social experience. 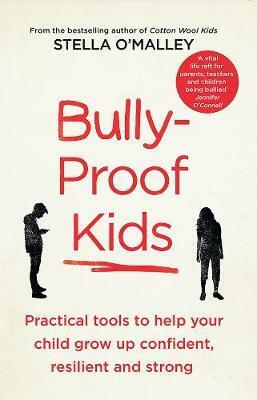 Based on many years' experience counselling bullies and targets, Stella O'Malley offers concrete strategies to empower children and teenagers to deal confidently with bullying and dominant characters. She identifies effective ways for families to cope when bullying occurs, including approaching the school authorities, communicating with the bully's parents and tips to tackle cyberbullying. Stella's common-sense approach will help your child, tween or teen to develop their emotional intelligence and will provide relief for families navigating the rapidly changing social environment, both online and in school. Stella O'Malley is a psychotherapist, writer and public speaker with over ten years' experience as a mental health professional. Much of Stella's counselling and teaching work is with parents and young people. She is the author of the bestselling book Cotton Wool Kids - What's making Irish parents paranoid?